In light of the upcoming movie, today I’m presenting my thoughts on the novel Wonder. I’ve read it twice, but it’s been awhile, so these are my thoughts very long after reading. The author of this book is a graphic designer from Manhattan with two sons. She had never written a book in her life, but her sons had an encounter with a little girl with major physical problems and she couldn’t get it out of her head. She wondered what it would be like to be that little girl and never be viewed as “normal,” even when you feel normal. And Wonder was born. Instead of me telling you why this is truly one of the few real “books for all ages,” or telling you why every kid should read Wonder, or telling you about any of the other claims I have centered around this book, I’m going to follow the first rule of writing and show you. 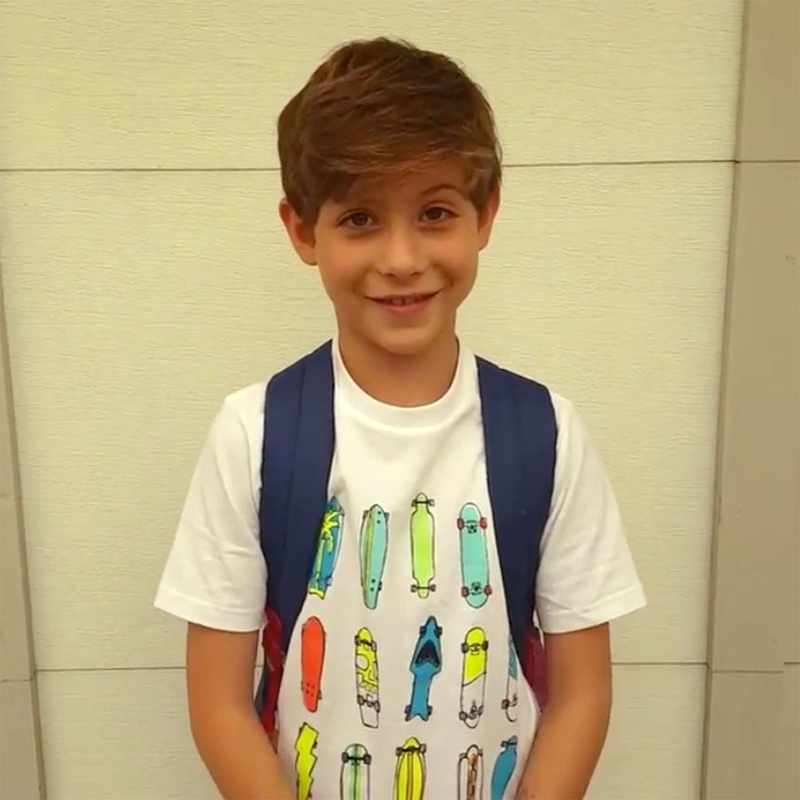 We start with this 10-year-old boy named August, or Auggie, explaining to us why he’s a perfectly normal kid. He likes to eat ice cream, he likes to play outside, etc. He then describes his family members, but he won’t tell us what he looks like, because, as he says, whatever we’re thinking, it’s probably worse. Over time we realized he has serious facial deformities. In the movie, Auggie is portrayed as having Treacher Collin’s syndrome. In the book, it’s obviously something much worse. He’s had 27 surgeries, has to wear a hearing aid, and at birth couldn’t even swallow or breathe on his own. A name is given for what’s wrong with him, but it was some enormous word I don’t even remember. That’s another thing I love about this book. It’s not afraid to be intelligent and talk about things kids have never heard of. Anyway, Auggie is a solid, well-defined character. He’s obsessed with Star Wars and the song “Space Oddity,” loves dogs, has a funny sense of humor, and wears a space helmet in public because he’s so self-conscious about his face. 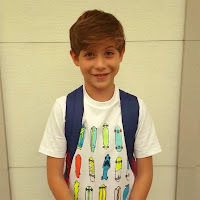 He lives in Manhattan, is homeschooled, and lives a relatively happy life, all things considered, playing with his big sister, Olivia, and his best friend, Christopher. But then Christopher moves away. And right as Auggie is beginning fifth grade, his parents drop on him the news that he’s going to start attending private school. I fully supported this decision, just as a side note. The world is not going to be easy for Auggie. He needs to start getting used to it. He can’t stay home and wear a space helmet all for the rest of his life. So, the first half of the book is about Auggie thrown into a pit of lions and learning how to survive. You know how kids will find the slightest thing to pick on, and with Auggie they have a heyday and tear him to pieces. He makes one friend named Summer, a girl who insists on sitting with him even though all the other obnoxious girls tell her not to and then laugh at her. Then he makes another friend, Jack. 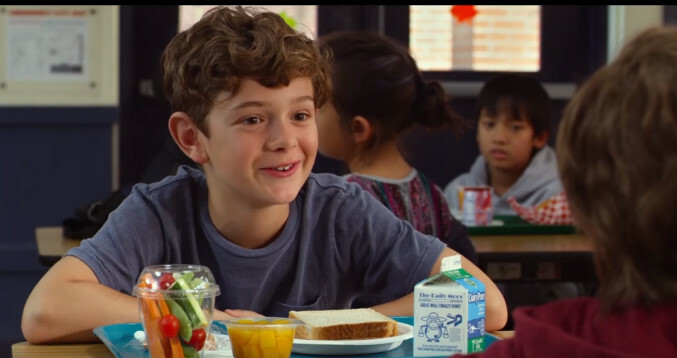 By the way the kid who plays Jack in the movie is adorable and I love him. Also, as a side note, in real life the kid is British but from watching the movie trailer I would have never known. I’ve never seen a young kid fake an accent in a movie. Anyway, back on topic—Auggie adapts to school, the kids adapt to Auggie, and then we start slipping in and out of different points of view. We get the POV of every major character, so we have a variety of ages and viewpoints, really making it a book for a vast age-range. First there’s Auggie’s sister, Olivia, who Auggie calls Via. Via loves theater and science and wants to be a geneticist. Look at that! A well-rounded, yet still relatable teenage girl with hobbies and interests! IT’S NOT THAT HARD! (Cough cough Christy Miller.) At first, we think Via has it all together. She’s super smart and responsible and acts older than her age, and even though she has typical high school friend drama, she doesn’t wallow in it. But as her story continues, we realize that Auggie’s medical problems have taken a major toll on her through the years. She’s often felt stressed and overlooked, and she was hugely impacted by the death of her grandmother, the one person who always had time for her. Then there’s Via’s boyfriend, Justin. He has shaggy hair and plays the cello (or violin or something, I don’t remember) and is shy and socially awkward. A++++++ to infinity. It’s such a refreshing change. We learn through his point of view that he was somewhat neglected growing up, so he really likes Auggie’s warm, close-knit family and just wants to be accepted. Then we learn that Miranda, the friend Via is having problems with, has grown distant because her parents are getting divorced. And that Jack has had a tough year at school because the other kids pick on him for being friends with Auggie. And that Summer’s dad died in Afghanistan. Even Julian, the obnoxious little twerp who bullies Auggie, deals with a lot of fears, and we can kind of sort of almost forgive him. Almost. Not really. And as we read this long, continuous narrative about ordinary people living ordinary lives, we suddenly uncover the whole point of the book: Everyone has problems. Some problems are visible, like Auggie’s. Other problems are hidden. So always be kinder than necessary. Now, let’s look at some highlights or what I expect from the movie. First of all, Auggie’s family. I love his family so much. One of the best in literature. (The Weasley family will always be my number one, but that’s not even related to this discussion, so moving on.) They’re caring, affectionate, and supportive, but COMPLETELY realistic. They have big arguments. They have bad days. Auggie and Via get into squabbles like siblings, but they also have a real relationship and confide in each other despite the big age difference. I’m very protective of Auggie’s family, and I’m not entirely sure what the movie is doing to them. For starters, Auggie’s dad is Jewish and his mom is Brazilian. We know this because genetics are important to Via, and she talks about it. The movie cast Julia Roberts as the mom. Certainly not Brazilian, but she has dark hair, so okay. Then we have Auggie’s dad, played by Owen Wilson. What the heck. I’m not even sure what to say. Just get out of the movie, Owen Wilson. Auggie is played by Canadian actor Jacob Tremblay, who blew up the Internet two years ago when the film adaptation of Room came out. At this point it feels redundant to even explain who he is. He was only nine when Wonder was shot but was chosen because he took the role seriously and wanted to get it right. Other than that, I don’t have any major complaints judging by the trailer. I’m looking forward to seeing how this very character-driven novel becomes a movie with an active plot. I may be back for a movie review after it’s released. So, has the movie been released yet? Seems like an interesting book to read. Yes! The movie is on DVD and streaming services now.